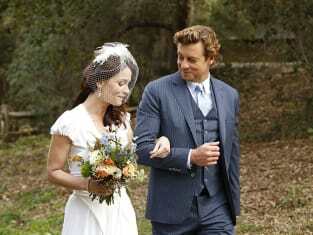 The Mentalist Series Finale First Look: Look Who's Getting Married! Some fans never thought it would happen. 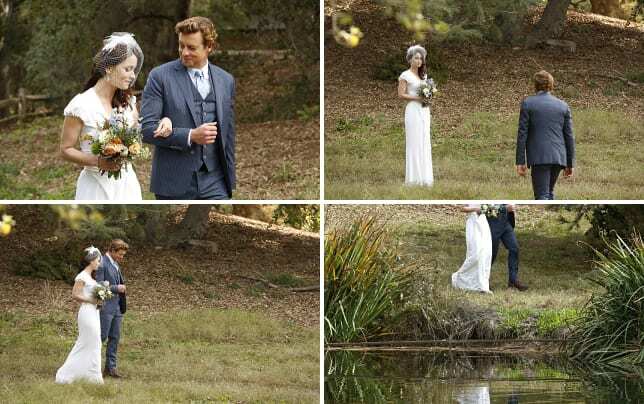 But, from the looks of these Mentalist series finale photos, it appears that after years of fighting crime, tracking elusive serial killers and playing cat and mouse with one another, Patrick Jane and Teresa Lisbon may just get their happy ending. A beautiful, outdoor wedding looks to be on tap for this evening, as a ridiculously happy couple and its friends say goodbye to viewers forever. What more could you ask for? That they hopefully get to celebrate their honeymoon without having to catch a killer. And if you're already missing the show, you can watch The Mentalist online here at TV Fanatic. The Mentalist Season 7 Report Card: Grade It! The Mentalist Season 7 Episode 13: Full Episode Live!